Dedicated resident spaces for users who spend longer periods at focused task work. Screens and boundary storage provide added privacy. 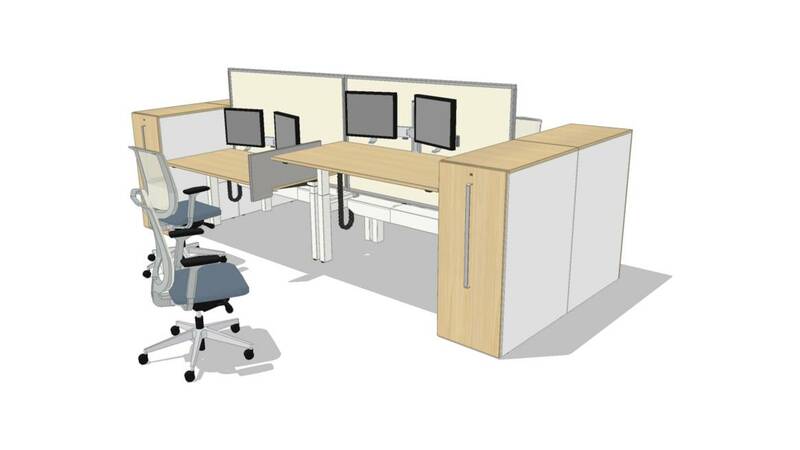 Dual adjustable monitor supports and height adjustable work surfaces allow users to change postures throughout the day, a boost to individual energy levels and productivity.